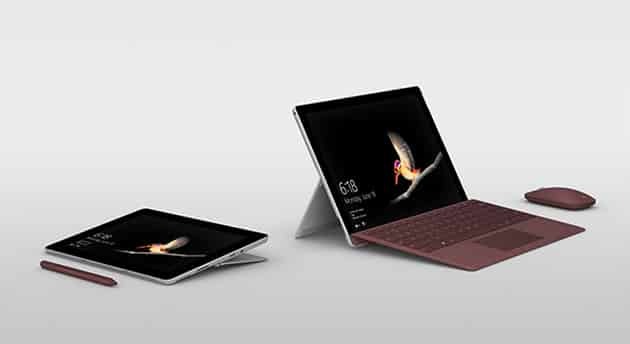 Microsoft has announced the Surface Go, a new laptop/tablet hybrid that is more affordable than any of its counterparts. Many are dubbing the Surface Go as an iPad competitor, and it’s not hard to see why. The Surface Go is a slimmer version of the original Surface Pro and only comes in at a fraction of the weight as well, making this a much more pleasant device to use as a tablet. It comes in a little thicker than an iPad, but you also have to remember that an iPad doesn’t have a full version of Mac operating system whereas this Surface Go does have a complete edition of Windows 10 waiting for you if you choose to turn off the S mode. The Surface Go looks a lot like the Surface Pro 4 in many ways, but you don’t get to have a keyboard or any accessories out of the box, they’re all coming to you as extras, which helps keep the initial price down. Still, the additional accessories are there if you want them. The keyboards (or what Microsoft prefers to call “type covers”) are available for an extra $99 and up for grabs in multiple colors. There’s even a more expensive $129 type cover which is better suited to those who want a more refined laptop-esque typing experience (and believe us, you’ll probably want that if you do plan to type). The Go is also compatible with the Surface Bluetooth mouse variants (both the arc mouse and standard) and will work a treat with the Surface pen as well. The Microsoft Surface Go’s specs won’t exactly break hardware in the benchmark test room, but it should give you enough power to do all of the things you usually do on the internet like browse your favorite websites, watch YouTube, and it’ll handle whatever streams you throw at it too. 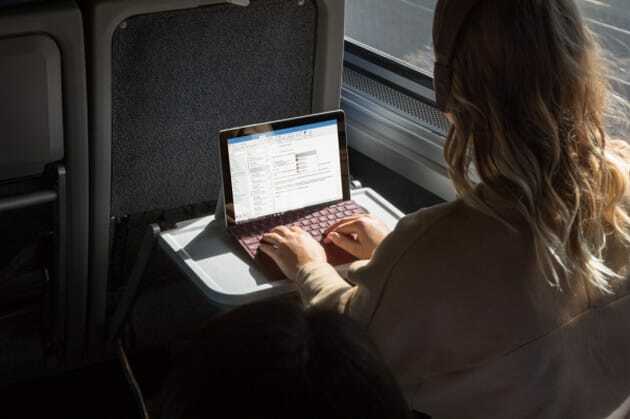 The Microsoft Surface Go ships with Windows 10 in S mode, which is slightly different to the Windows 10 S operating system that many people were familiar with. Windows 10 with S mode means you can directly turn it off from the Settings and then you will have your base version of Windows available again. For the Microsoft Surface Go, you can expect that to be the Home version of Windows 10. The Surface Go has been getting a bit of a hard time from many reviewers for being underpowered, and while it is underpowered compared to what we know of hardware in today’s standards, the harsh reality is that many people overspend on devices that come with hardware that they don’t need nor will they ever use. Given the name, it’s probably safe to say that Microsoft’s intentions were to provide a more affordable device that would be used on the go a lot more than the traditional Surface Pro which is being used at times for some as a laptop replacement and tablet hybrid. If you’re new to the Surface range of devices, don’t go crazy with your spending right away. You might just find the screen size too small and wish you have gone for a different device altogether that better suits your needs. That has been the sentiments of both myself and others whom I know who jumped on the Surface bandwagon early. Even my 13.5-inch Surface Book I’m finding too small to do all my jobs, and I’ve had to chalk that up to a learning experience, too. The Dell XPS 15 is in the mail. The one upside that Surface devices do definitely possess though is quality assurance. The hardware should last a long time. With that in mind, there’s no reason to avoid the Surface Go entirely if you’re looking for more of a tablet than a laptop, which is ultimately what it appears Microsoft had in mind.